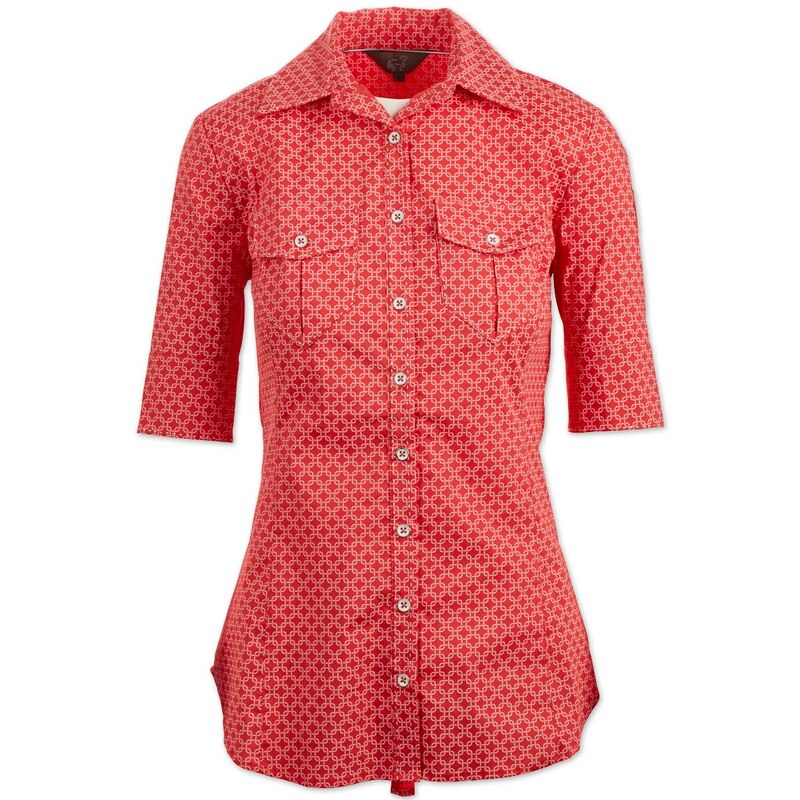 The Goode Rider Forever Shirt is super comfortable and flattering! The slight a line silhouette compliments every shape. The cut is looser for comfort but still maintains shape with flattering princess panels. 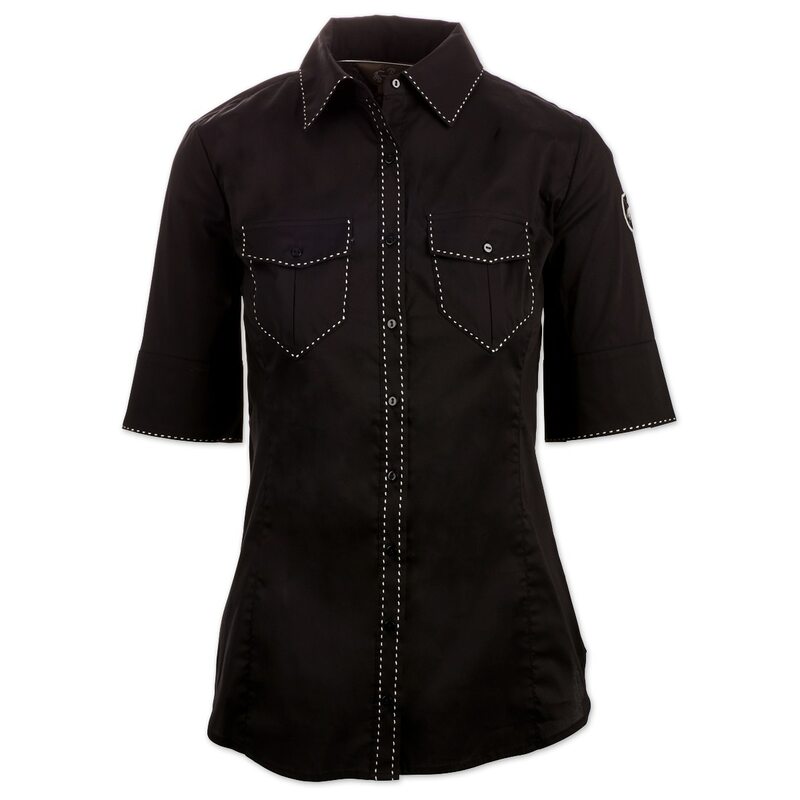 Patch pockets with contrast embroidery pick stitch throughout the shirt adds detail and interest making a fun choice to wear not only while schooling, but also out on the town- This shirt can do it all!